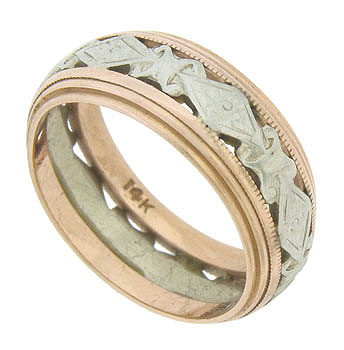 A handsome diamond and leaf design adorns the central ribbon of white gold on this vintage wedding band. Ridged bands of 14K rose gold finished in distinctive milgrain frame the elegant design. 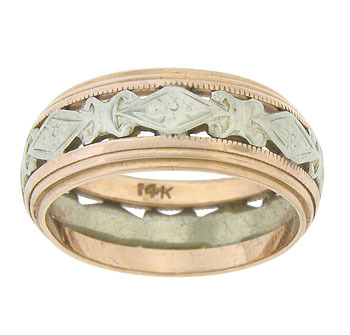 The wedding ring measures 6.90 mm in width. Circa: 1930. Size: 6. Cannot be re-sized.